First, you'll need a Bitbucket account. 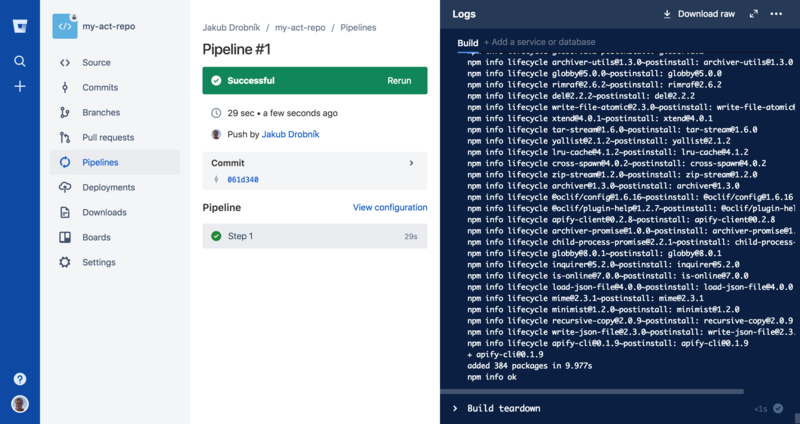 On the free account, you'll get an unlimited number of Git repositories and 50 free minutes for running your tests and builds on Bitbucket Pipelines. Once you have the account, create a new Git repository, as described in this guide. Success: Actor 'my-actor' was created. To run it, run "cd my-actor" and "apify run". The command creates a directory called my-actor with several pre-created files and directories that are useful for local actor development. You can now link your local actor to the Apify cloud using the apify push command. Note that you also need to be logged in using apify login. If everything works, we can move to setting up automatic builds of the actor. 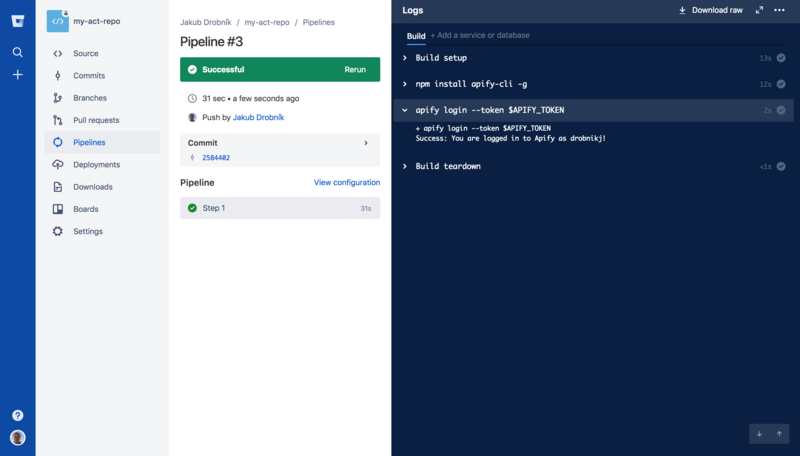 In order to enable Bitbucket Pipelines to access your Apify account, you'll need to obtain your Apify API token (available on the Account page) and then set it as the APIFY_TOKEN environment variable in Bitbucket Pipelines (in Repository -> Settings -> Environment variables). Make sure to mark the environment variable as Secured! 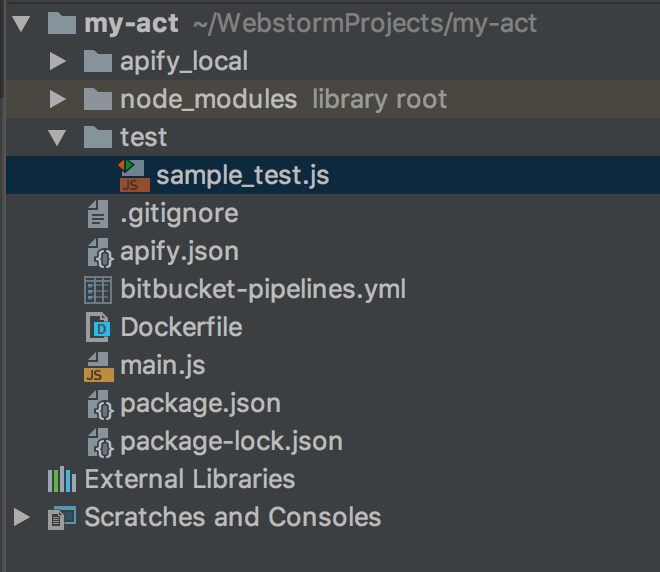 With this setup, every commit to master or develop branch will rebuild the Apify actor and set it the right tag. And that's it, you've just setup continuous integration for an Apify actor! 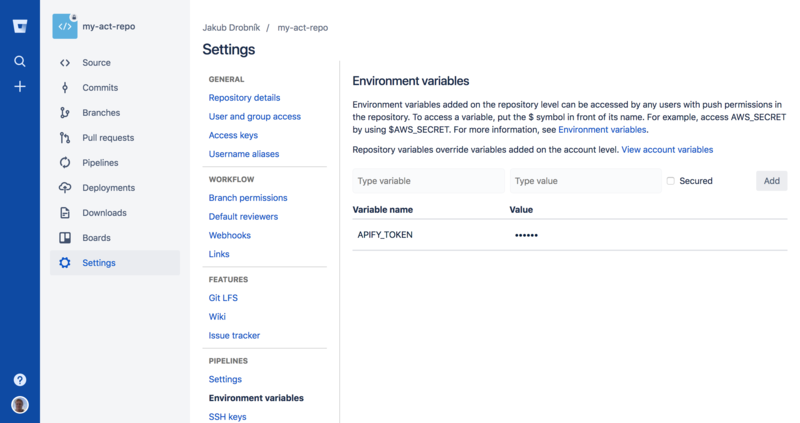 You can check the Bitbucket repository with the files from this tutorial. If you're missing anything, just let us know on chat.